Officially launched in 1999 in Japan, Koyorad Racing Radiators soon made a presence in Japan’s ever popular racing scene. Koyorad Racing Radiators soon became synonymous with Koyo’s High Quality Aftermarket Radiators. As Koyorad Racing Radiators grew in reputation for quality and performance, so did the company’s desire to expand. In 2004, Koyorad Racing Radiators made it’s US debut. What started as a few racing applications for Japanese vehicles in 2004 has now in 2013 grown to over 80 models for Japanese, US Domestic, and Korean vehicles. 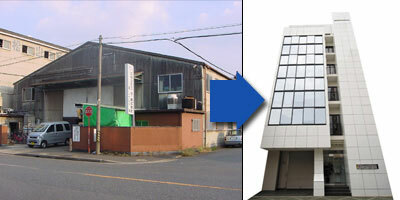 In Japan we have more than 20 engineers backed with over 60 years of experience. This ensures that Koyorad Racing Radiators are Best Quality, Best Performance, and Best fit. We at Koyorad strive continuously to find ways to improve and implement new technologies in our Racing Radiators. Koyo uses only Japanese made equipment and sources only the finest Aluminum when producing our radiators. Superior quality in materials is what gives Koyorad’s Racing Radiators its reputation for performance and reliability. Before any new model is introduced to the market, we do extensive testing for fit, finish, and performance. From Installation to Track Testing, when you purchase a Koyorad Racing Radiator, you are getting a superior quality product that will take you to the next level street orTrack. 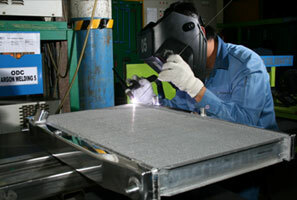 With over 10 years of hand crafting experience, it is hard to beat our quality for precision welds and uniformity. We can achieve this through top quality materials that have earned the respect of racers and fabricators alike, worldwide.